Are you ready for Summer? We sure are! The temps have finally risen and we’re making our warm weather to do lists. Beach? Check. Picnic by the lake? Check. Camping? Check Check. If you’re making all of these glorious sunshine-filled plans with kids, you know you’ll need a wealth of on-the-go activities to keep them entertained! So may we present, the super-simple, make-it-in-under-an-hour Travel Memory Game! 1. Assemble the 9″ x 12″ rectangles. If using the Peltex® II, sandwich it between the two fabric rectangles with right sides facing out. Fuse following manufacturer’s instructions. 2. Cut twelve 3″ x 3″ squares. You can either measure out and mark the squares using a disappearing marker (as shown in the first image below), or use the measurements on the ruler as a guide (as shown in the second image below) in conjunction with your rotary cutter. Alternately, you can use the Amplify Razor Edge™ Fabric Shears 8″, which are specially designed to work well with thick materials, like the Peltex®. Set squares aside. 3. Format desired images for appliqué, making sure that they are each no larger than 3″ square. Print. Trace each image twice onto the paper (matte) side of one sheet of EZ-Steam® II. 4. Rough cut around each image to separate. 5. Using a pin, lightly score the waxy (shiny) backing of the EZ-Steam® II. ‘Crack’ the back along the scored line and peel the backing away like a sticker back. 6. 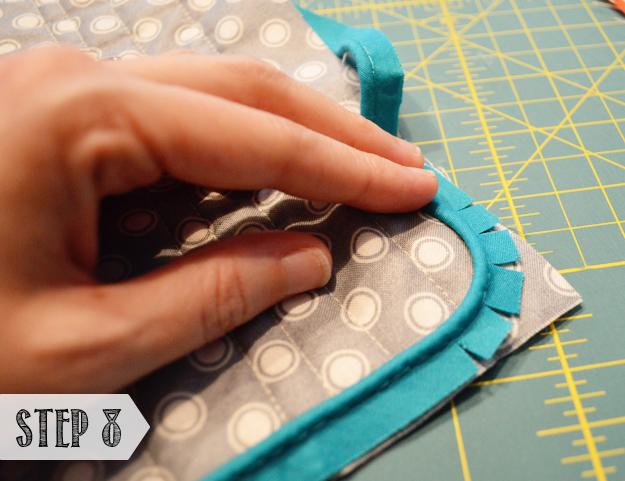 Finger press the exposed sticky side to the wrong side of your appliqué fabric. 7. 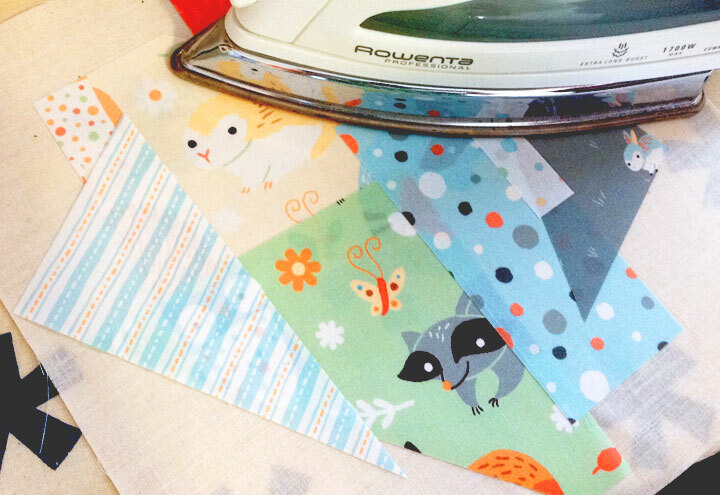 Using your Fiskars RazorEdge™ Softgrip® Fabric Shears, carefully cut out each shape. 8. Remove the paper (matte) backing of the EZ-Steam® II and finger press shape onto neutral side of one 3″ x 3″ square. 9. Repeat for all shapes. 10. 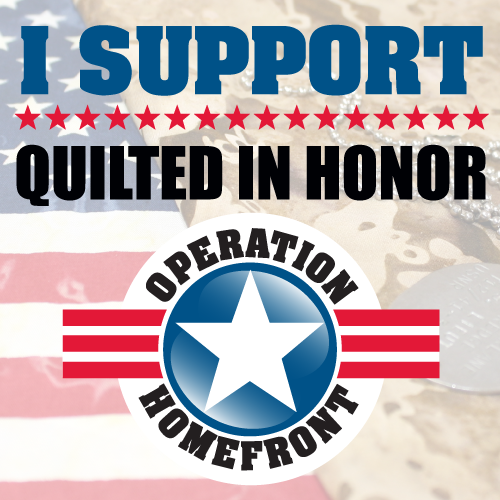 Following manufacturer’s instructions, fuse each appliqué shape to the 3″ x 3″ squares. 12. Assemble all 12 squares and secure using a ribbon or fun elastic. Pop the game in your beach bag and you’re ready to go! 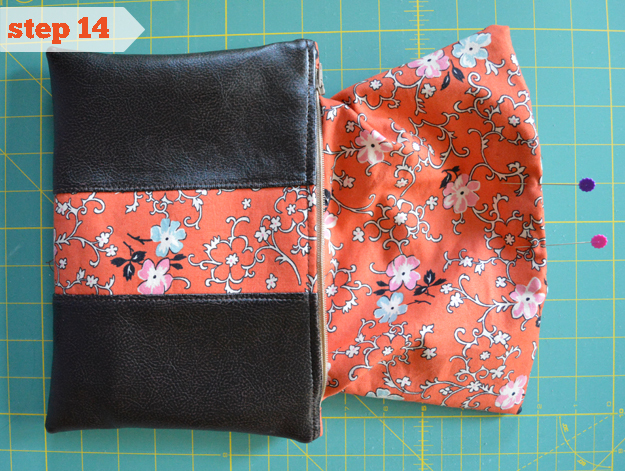 Don’t forget, the Create Behind the Seams Mini Challenge is on! Submit your projects between now and June 30 on Instagram with the following tags #createbehindtheseams, @pellonprojects, and @fiskar_hq to enter to win some fabulous prizes. Click here for more information. This little project couldn’t be more simple. All you need is a rectangle of your favorite print, a blank or old mousepad, and a little Pellon® EZ-Steam® (or Wonder-Under® — whatever you have on hand!). It only takes about 5 minutes to complete, making this the fastest holiday gift we’ve shared yet! Perfect for 2 days before Christmas;). 1. Cut one 7-1/2” x 8-1/2” rectangle each of fabric and EZ-Steam™ II. 2. Peel off the waxy side of the EZ-Steam™ II. 3. 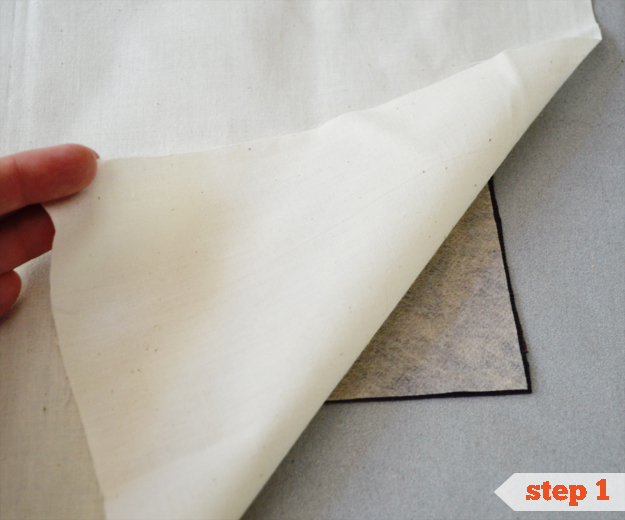 Place the EZ-Steam™ II on the wrong side of the fabric with the paper side facing up. Finger press in place. 4. Remove paper backing and layer the fabric, right side up, on top of the mouse pad, making sure that the full surface is covered. Finger press in place. 5. Cover with a lightweight damp press cloth and fuse. 6. Trim the edges with scissors or a rotary cutter. 7. Add embellishments as desired! We’d love to see what you make, so be sure to post a photo on our Facebook page OR share with our ‘Made with Pellon®‘ flickr group! One of the season’s big trends is quilted leather! Use Fashion Fuse™ to add shape to clothing or add a quilted detail to any project. Cut out the leather using the pattern pieces. Cut out the Fashion Fuse™ for the pieces that the pattern recommends. Place the leather right side down. Place the fusible side of the Fashion Fuse™ against the wrong side of the leather. Fuse following manufacturer’s instructions. 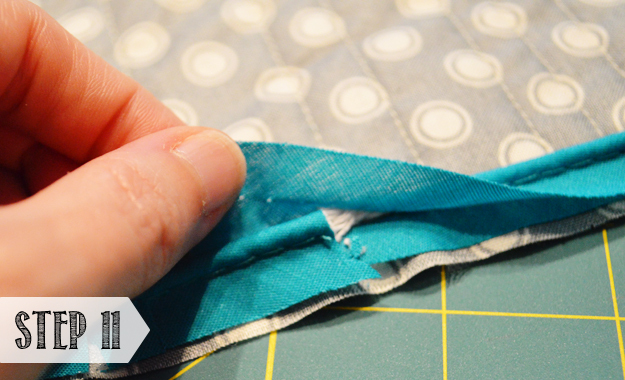 TIP: You can tell when the interfacing has fused when the dots are more visible on the non-fusible side of the Fashion Fuse™. In the image below, you’ll notice that the dots are not clearly visible on the left un-fused side. The Fashion Fuse™ won’t retain as strong a bond with a Vinyl material, but it will hold long enough for you to baste the materials together. The Fashion Fuse™ also fuses well to other fabrics. Heather had much success using it with a Fleece for an area of the jacket lining. 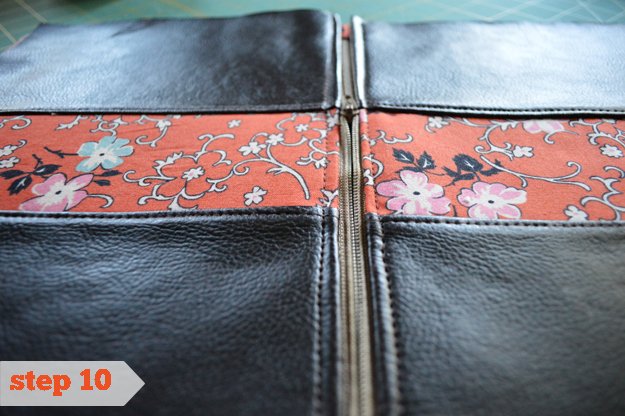 Sew lines of stitching onto the leather or vinyl pieces to give it a quilted look. The Fashion Fuse™ gives strength to the leather or vinyl and makes it more durable without changing the hand of the material. Assemble the rest of the project and admire your work! What leather project are you excited about making this holiday season? Today’s project is so cute, quick and easy, you’ll want to make one for everyone on your holiday list. 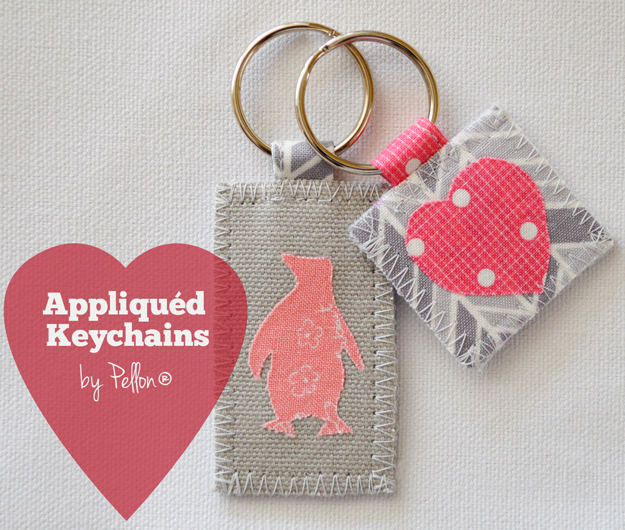 Appliquéd keychains can be personalized with the recipient’s initials, a favorite animal, a heart or any other shape. They can be rectangular (as the directions share), square, or any other shape you’d like. All you need is a little bit of Peltex® I, a little bit of EZ-Steam™ II and a little bit of creativity;). 1. Print out or draw desired appliqué shape. Must be no larger than 1” x 1-1/2” in size. 2. Trace shape in reverse onto the paper side of the EZ-Steam™ II. Repeat so that two shapes are represented. Roughly cut around each shape to separate. Remove the waxy side. 3. 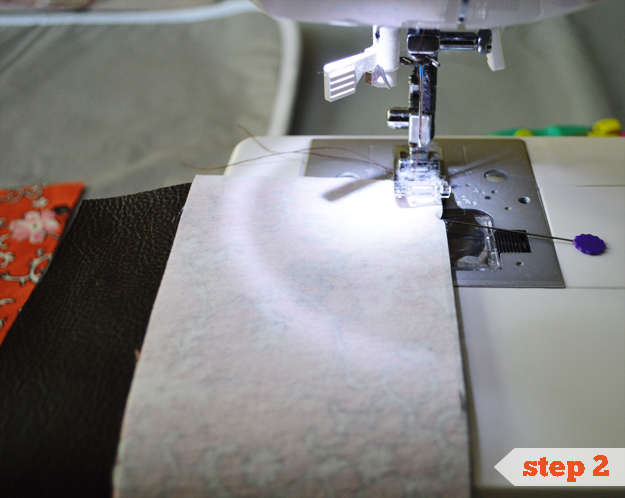 Place one piece of the EZ-Steam™ II on the wrong side of 2 coordinating fabric scraps with the paper side facing up. Finger press into place and cut out shapes. 4. 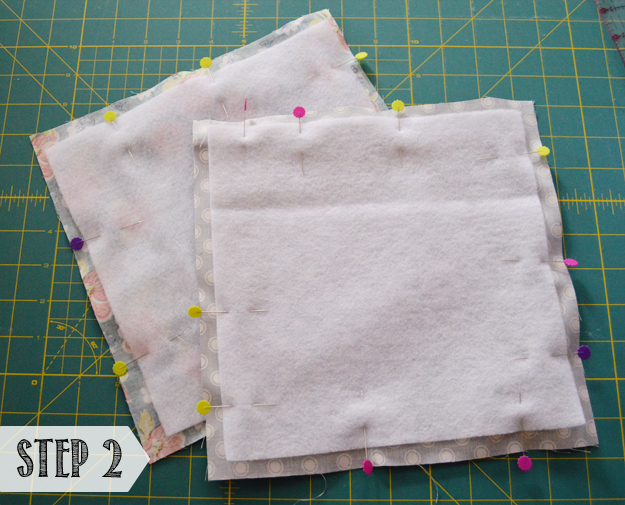 Remove the paper backing and position each shape onto the right side of the 1-1/2” x 2-1/2” fabric rectangles. Finger press into place. 5. 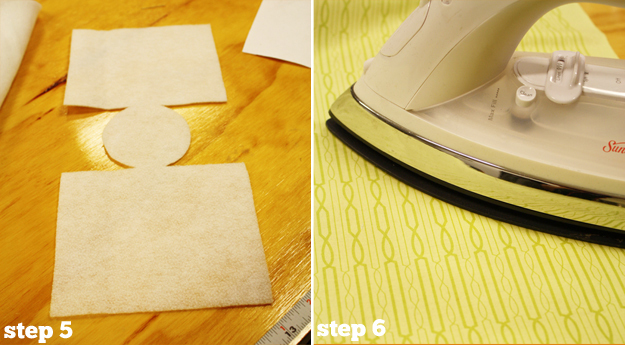 Following manufacturer’s instructions, fuse EZ-Steam™ II to fabric. 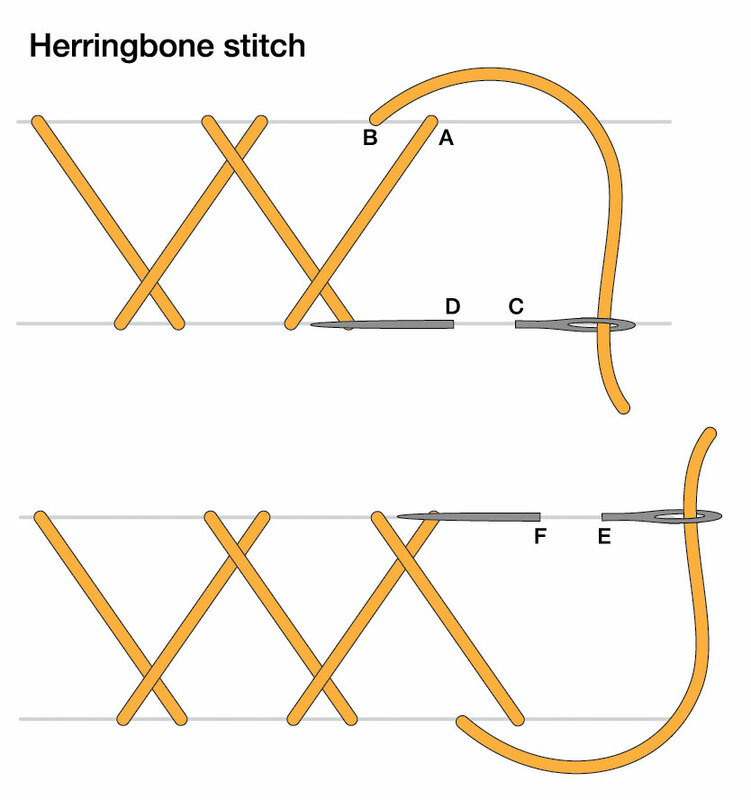 Finish around the edges of the appliqués with a zip-zag or straight stitch if desired. 6. Place the fusible side of the Peltex® I against the wrong side of the fabric squares and fuse following manufacturer’s instructions. 7. 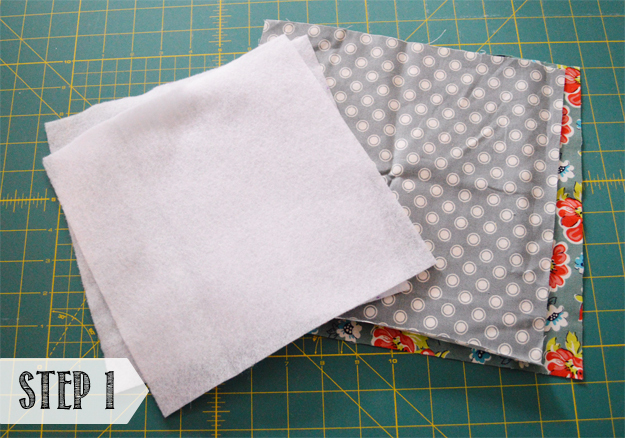 Fold the 2” x 2” fabric square in half and press. Open square, fold edges in to meet the center fold and press. Refold at the center and press again. Topstitch along open edge and fold in half to create key ring loop. 8. Place the two appliquéd rectangles wrong sides together. 9. Place raw edge ends of key ring loop in between the two rectangles and topstitch to secure. 10. 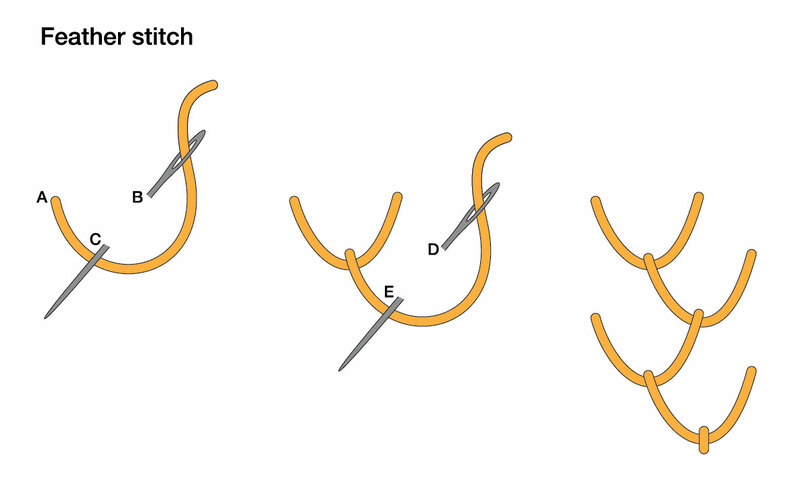 Finish around all four sides of the rectangle with a zig-zag or satin stitch. 11. Insert key ring through the key ring loop. 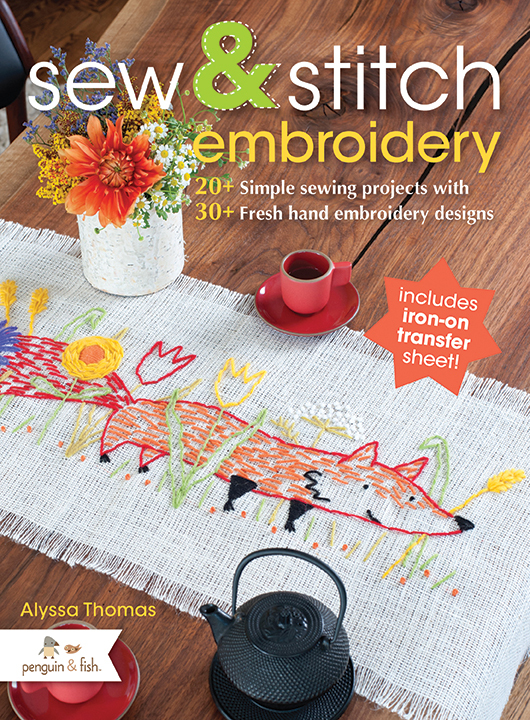 It’s our day for the Sew & Stitch Embroidery Blog Tour, celebrating Alyssa Thomas’s brand new book release. The lovely and talented designer behind Penguin & Fish has put together a gorgeous book full of fun embroidery projects. 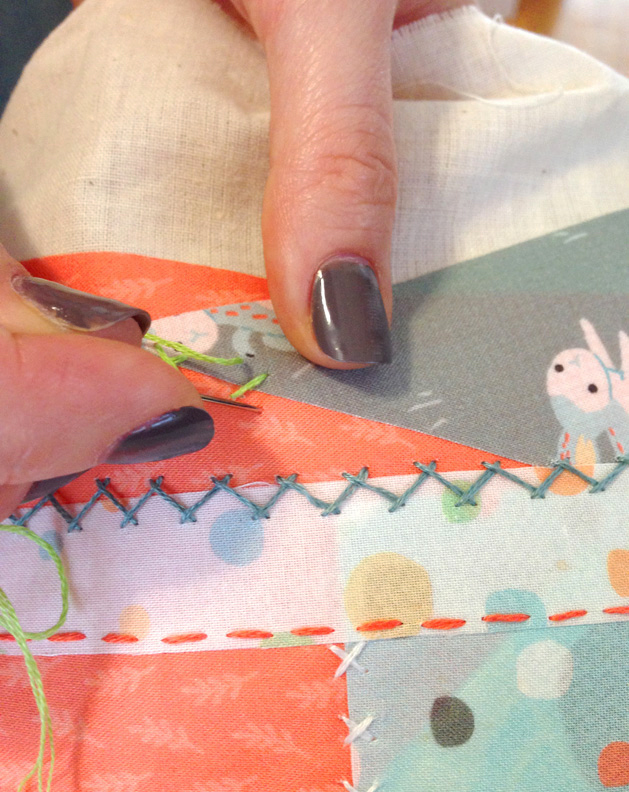 She’s here today with a special tutorial to keep you stitching! For our take on the book, including a sample project, check out yesterday’s post:). 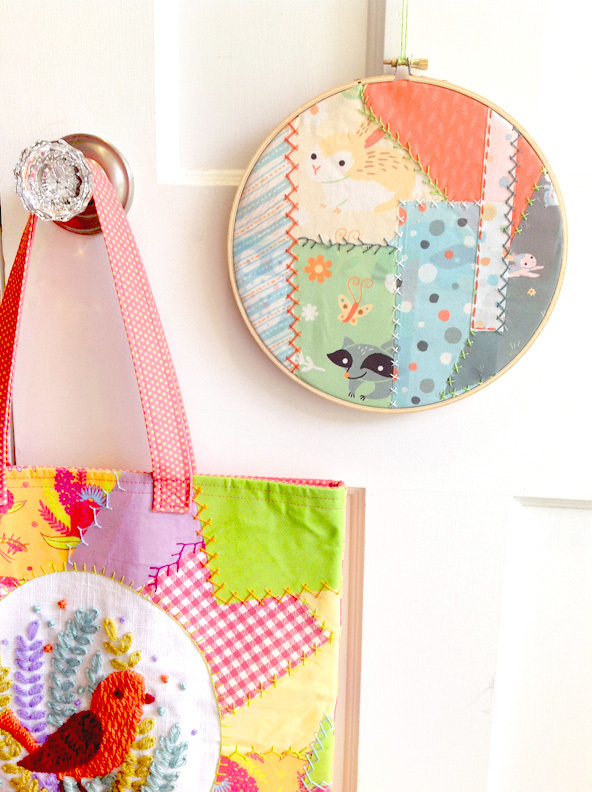 Do you have a bunch of fun fabric scraps that you’ve been saving for a “someday” project? Well, we’ve got a great idea for you! Using fabric scraps, Pellon® 805 Wonder-Under® Fusible Web, and embroidery floss, you can create beautiful Patchwork Collage Wall Art. We used the same technique for the “Bird-in-Ferns” Patchwork Tote in our new book Sew & Stitch Embroidery. 1. 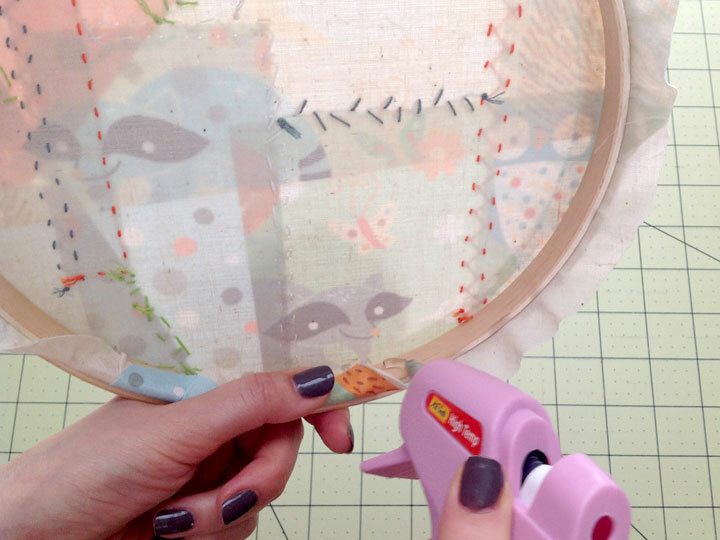 Trace the inside circle of the embroidery hoop onto the center of your muslin square. This will be the area where you design your patchwork collage. Set aside. 3. 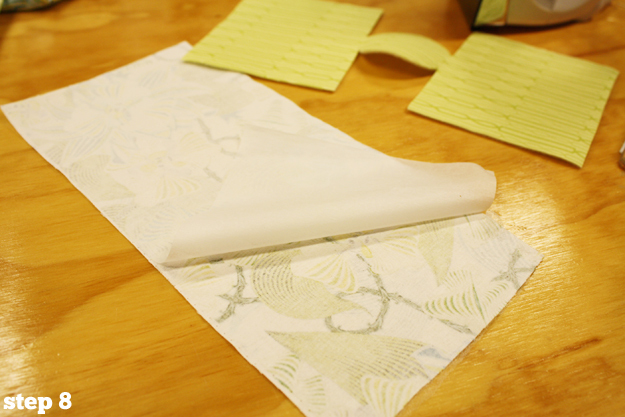 Remove the remaining paper backing from the Wonder-Under® pieces attached to the fabric scraps. Trim the fabric edges so they are flush to the edges of the Wonder-Under®. Slice through the fabric pieces at different angles to create various shapes. 4. 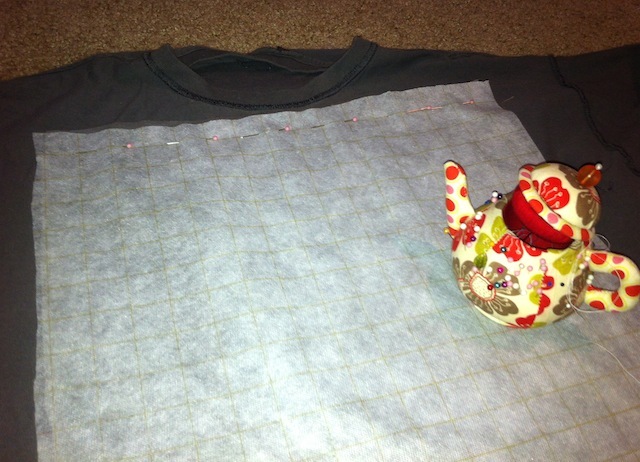 Lay the muslin with the circle onto the ironing board or other ironable surface. 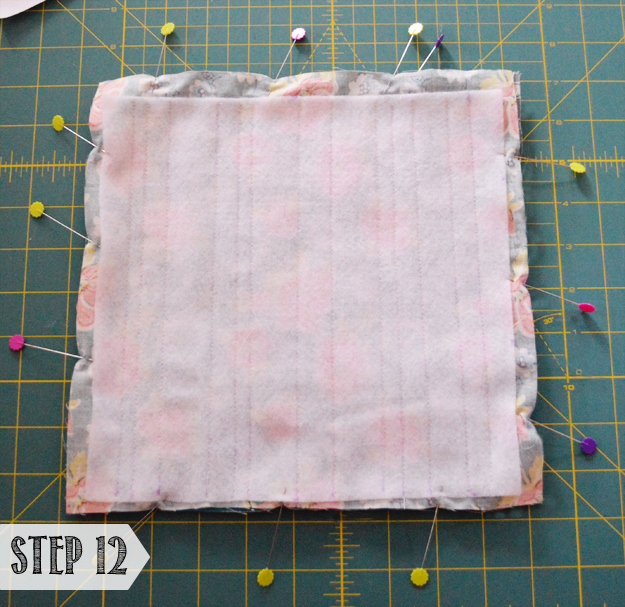 Place the fabric scraps (fabric side up) onto the muslin on top of the drawn circle. Lay out the pieces as desired, making sure to overlap the edges of the circle by at least 1/2’’. Have fun playing with different layouts! When you have a patchwork collage that you like, follow the Wonder-Under® instructions to fuse the fabric collage to the muslin. 5. Using the embroidery floss and needle, embellish the patchwork collage with decorative stitches, stitching through all the layers of fabric. We stitched along every collaged fabric edge with decorative stitches, including feather stitch, herringbone stitch, running stitch, and cross stitch. 6. 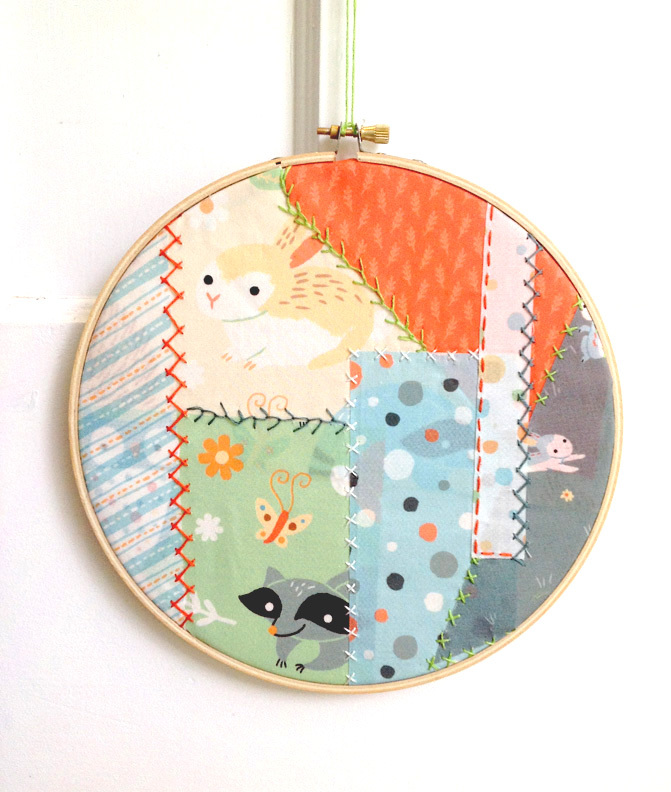 Place the finished patchwork collage snugly in the embroidery hoop. 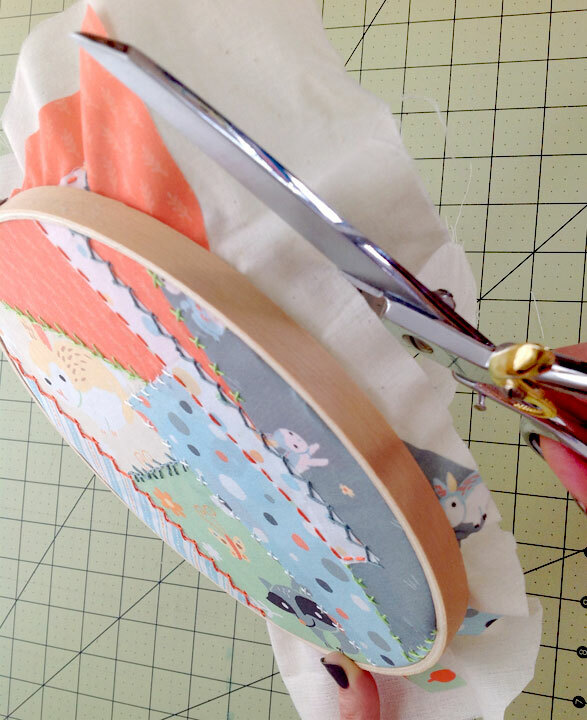 Trim the edges about ½” from the edge of the embroidery hoop. Using a hot glue gun, glue the edge to the inside of the hoop. 7. Hang your fabulous Patchwork Collage Wall Art, and enjoy! Don’t forget to follow along with the rest of the blog tour! We’re excited to see new tutorials, new takes on projects from the book, and much more! Alyssa Thomas is an illustrator, designer, and artist. As a child, Alyssa would make everything from beaded bracelets to large papier maché masks and then barter with her brothers at the “trading post” outside her bedroom door. Alyssa earned a Bachelor of Fine Arts degree in graphic design from the Minneapolis College of Art & Design in 2002. She has worked as a product designer for the children’s apparel and stationary industries and illustrated the children’s picture book, No Monster Here. Alyssa started Penguin & Fish in 2004 as a hobby to create lovely and quirky hand embroidery patterns, embroidery kits, sewing patterns, and artful plush. 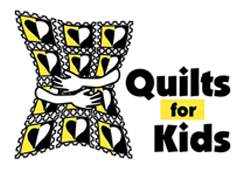 Today, Penguin & Fish’s products can be found in quilting, sewing, gift and children’s stores worldwide. 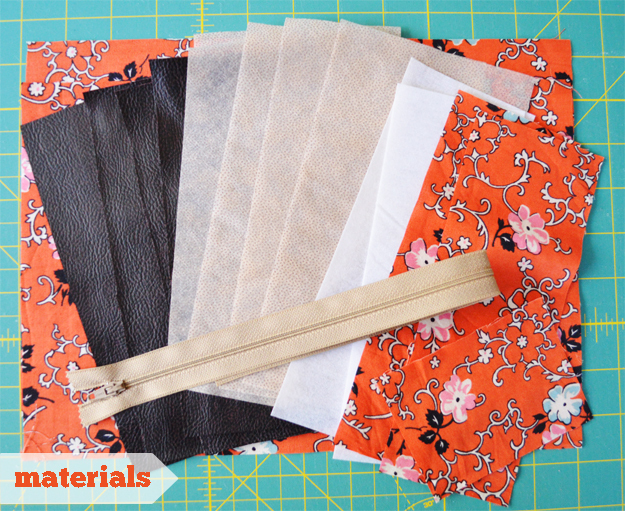 It’s a common frustration… you walk into your local craft store, knowing there is a particular type of project you want to make and that it will need a particular type of interfacing. You’re pretty sure that you should be able to find what you need at the shop, but have no idea where to start. We get it. It’s overwhelming! There are different types of interfacing to suit your changing needs and while that is incredibly handy, it can be a lot to process. Well… we’re here to help! From time to time, we’ll be giving you a little run-down on a new product that we think you’ll love. We’ll tell you all about it, give you the low-down on how to use it, share a new project, and maybe even run a whole series on how fabulous we think it is. Our current target? Pellon®’s 420N Fashion Fuse™, currently available at Jo-Ann Fabric & Craft Stores in addition to other fine retail outlets across the country. Fashion Fuse™ is a specialty interfacing that adds structure and definition to leather, furs, imitation leather and imitation furs. We love this product because it adds stability to these fun materials without affecting the hand. Have a soft imitation leather that you want to use for a bag, but don’t love the stretch? Add a little Fashion Fuse™ to prevent any unwanted distortion without sacrificing the supple feel. This product is 70% Nylon & 30% Polyester and no pre-shrinking is required. To apply, we suggest ironing at a low to medium temperature, always with a dry press cloth. Steam is not required. Following pattern piece, cut Fashion Fuse™ to desired size. We recommend incorporating the Fashion-Fuse™ into the seams, which will help prevent difficulties below the sewing foot. Place your material right side down on your ironing board. 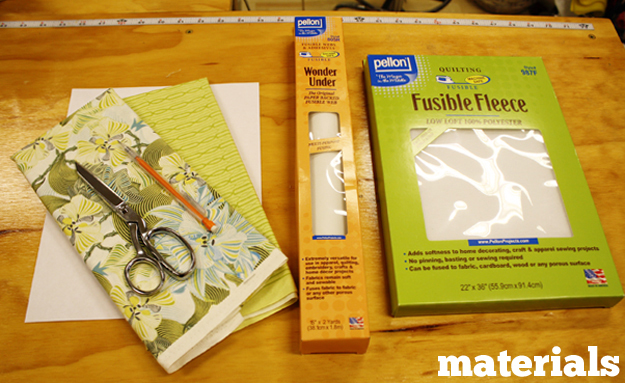 Place fusible (rough) side of Fashion Fuse™ against the wrong side of your fabric. Set iron at low to medium with NO steam. Cover with a dry press cloth. Press gently in place in a back and forth motion for 10 seconds. DO NOT PUT PRESSURE ON THE IRON. Continue until entire area is fused. 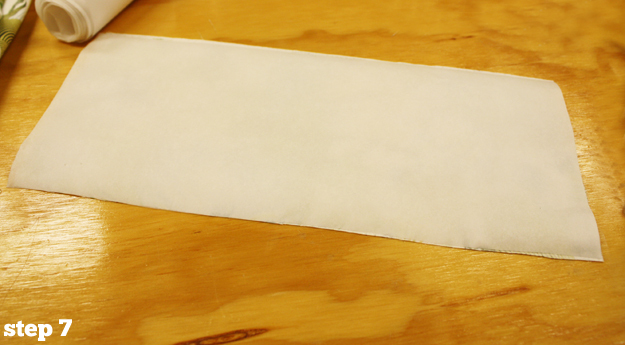 Allow the fused items to cool down for approximately 30 minutes on an even surface so the adhesive can set properly. If not completely fused, raise the temperature of your iron slightly and repeat step 4. Curious how you might use a product like this one? You’re in luck! We’ve got a brand new project for you;). Enjoy!! Use a ¼” seam allowance unless otherwise noted. RST = Right Sides Together. Step 1: Following manufacturer’s instructions, fuse the 4-1/2” x 8-1/2” rectangles of Fashion Fuse™ to the wrong side of the Pleather rectangles and the 3” x 8-1/2” rectangles of 809 Décor-Bond® to the wrong sides of the coordinating fabric rectangles. 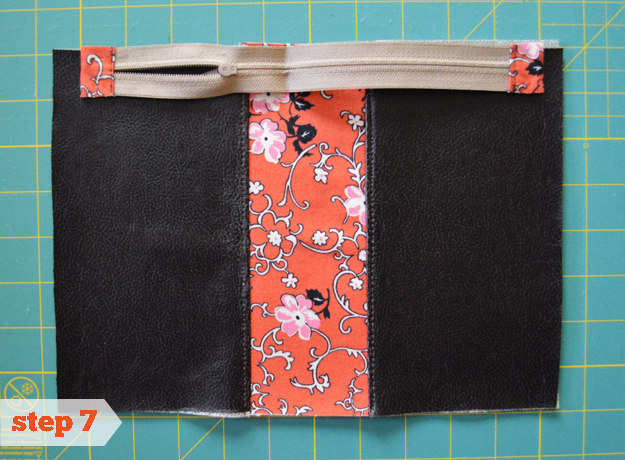 Step 3: Please a second pleather rectangle RST with the coordinating fabric rectangle on the newly created unit. Sew along the 8” side. Press seam toward the pleather and topstitch. Step 4: Repeat steps 2 & 3 to create the back side of the clutch. 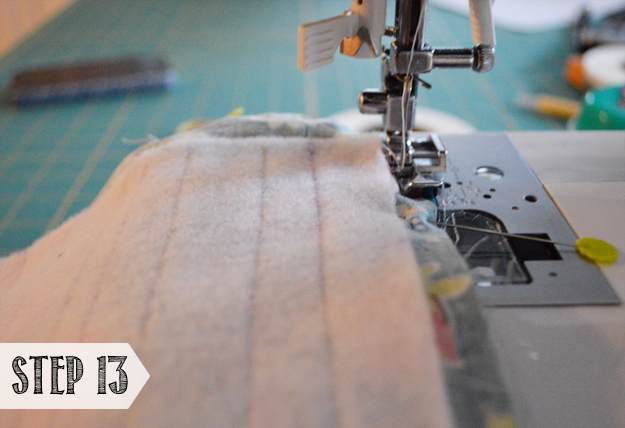 Step 5: To create zipper ends, press the 3” x 4” rectangle of fabric in half, lengthwise and wrong sides together. Open fabric, fold edges into the newly created center fold line and press. Refold center line and press. Cut strip in half. Step 6: Insert zipper tape into zipper ends and pin in place. Topstitch close to folded edge. Trim outer edges of the zipper ends even with the outer edges of the zipper tape. Step 7: Place exterior rectangle on mat, right side up. Center zipper face down on fabric so that long edges are aligned. Zipper pull, when closed, should be on the left side of the rectangle. 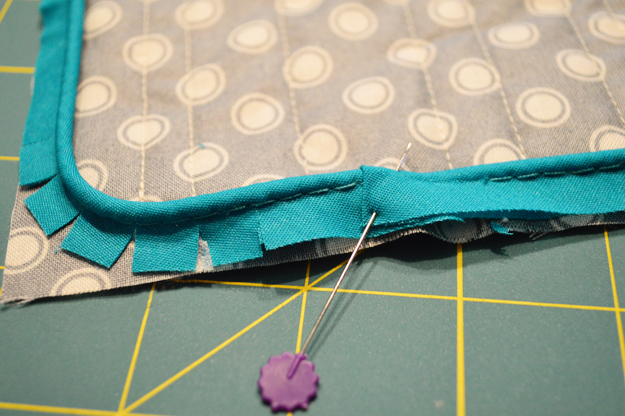 Place lining fabric on top of zipper, right side down, with edges aligned and pin or clip in place. Step 8: Sew first side of zipper. 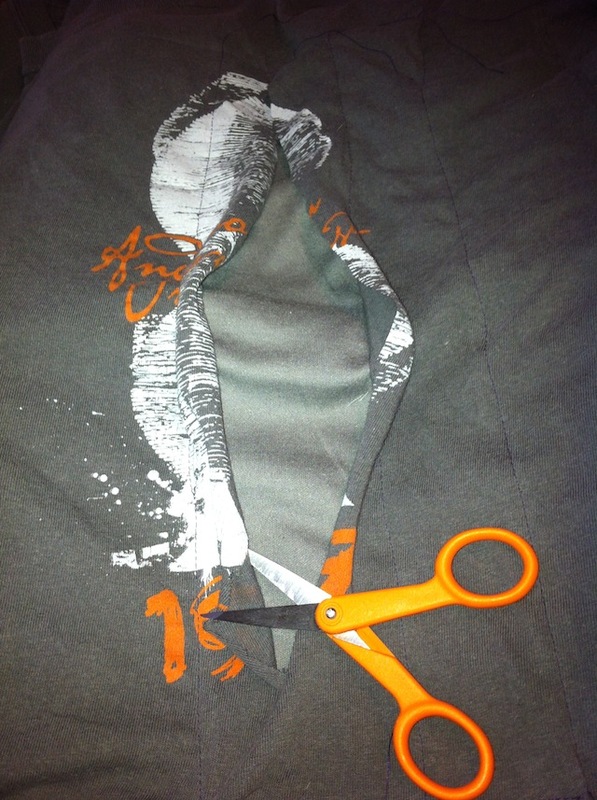 Fold fabrics away from zipper with wrong sides together. Press. Always use a dry press cloth with pleather or leather. 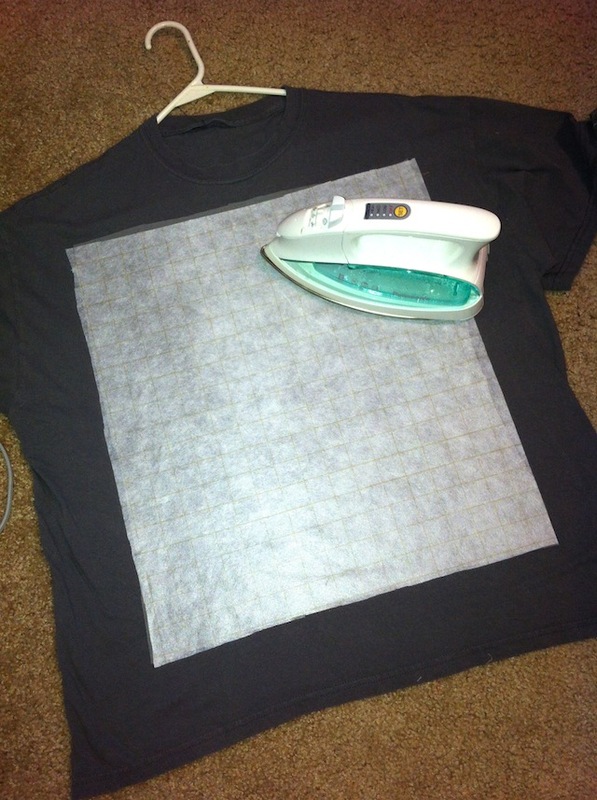 Never place the iron directly on the material. Step 9: Repeat these steps 7 & 8 with the remaining exterior and lining rectangles and the other side of the zipper. 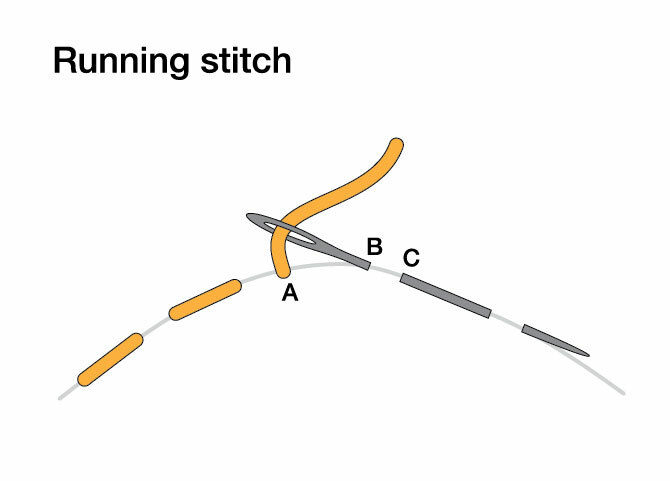 Step 10: Topstitch close to the folded edge along both sides of the zipper. Open zipper at least halfway. Step 11: Place exterior pieces RST and pin or clip. Repeat with the lining pieces. Step 12: Mark a 3” opening at bottom of lining. 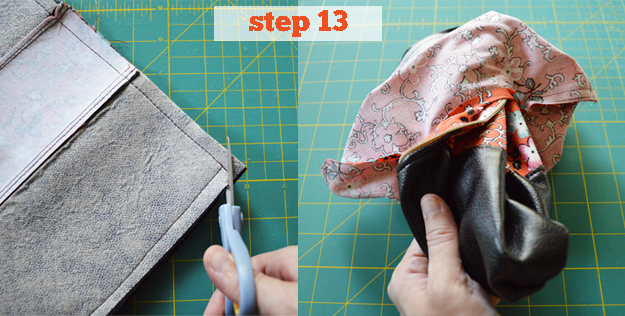 Starting at one mark, sew around the full perimeter of the bag ending at the second mark. Take extra care when sewing over zipper ends. Step 13: Clip threads and cut corners on a diagonal. Turn right side out and carefully push out all corners and zipper ends. Step 14: Topstitch opening closed and push lining into bag. Press. 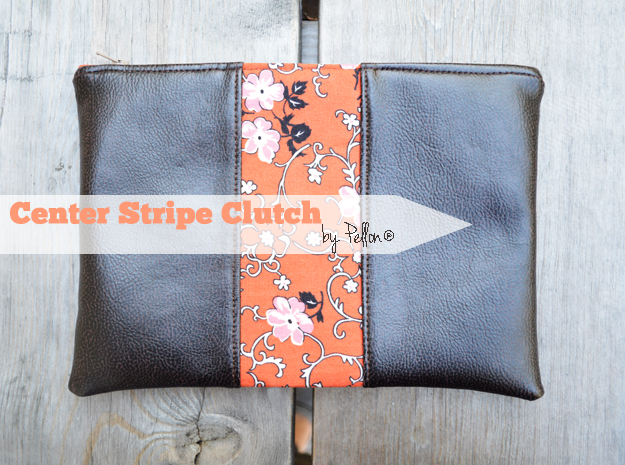 Step 15: Admire your finished clutch! As usual, we’d love to see what you make, so be sure to post a photo on our Facebook page OR share with our ‘Made with Pellon®‘ flickr group! Today marks the last project feature (for now) for our brand new line of EZ-Steam™ products. 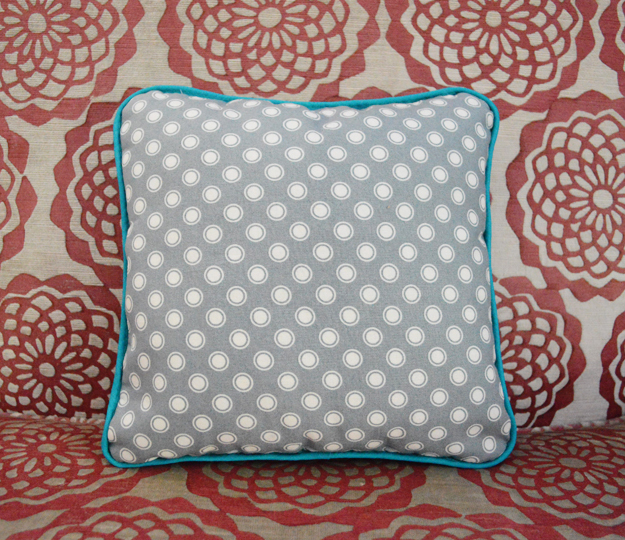 We’re excited to share the Pint-Sized Pillow, a little throw pillow with coordinating fabrics and contrasting piping. This is a great project to spruce up a neutral colored chair or to brighten up a child’s room. The best part is, we discovered that using our EZ-Steam™ II Tape makes adding the piping a much easier process. 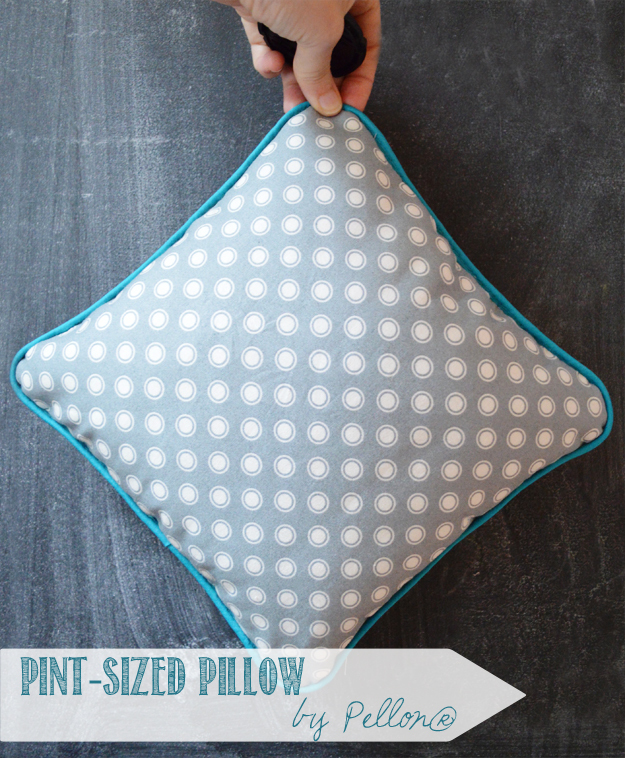 Whether you’ve working with piping before or not, this project is perfect for beginners. EZ-Steam™ makes everything easy!! All fabrics and supplies for this project were purchased (and are available) at your local Jo-Ann Fabric & Craft Store. 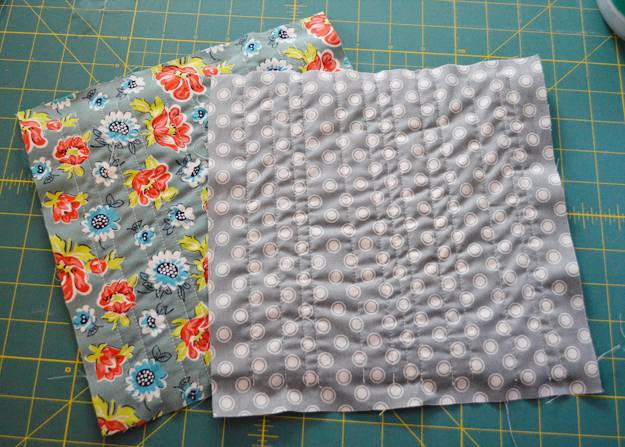 Step 1 – Cut out squares of fabric & fleece. 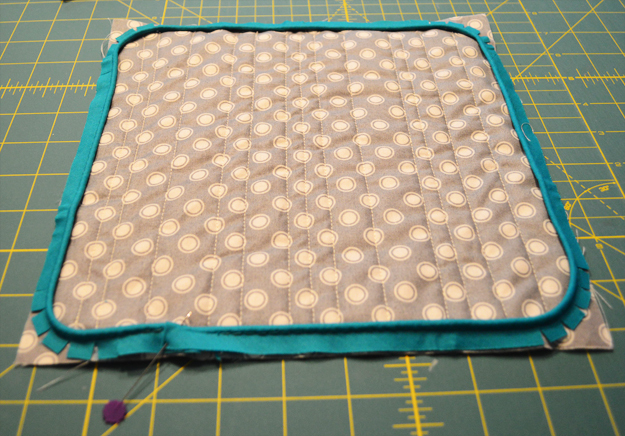 Step 2 – Center 1 fleece square on wrong side of fabric square. Fuse following manufacturer’s instructions. 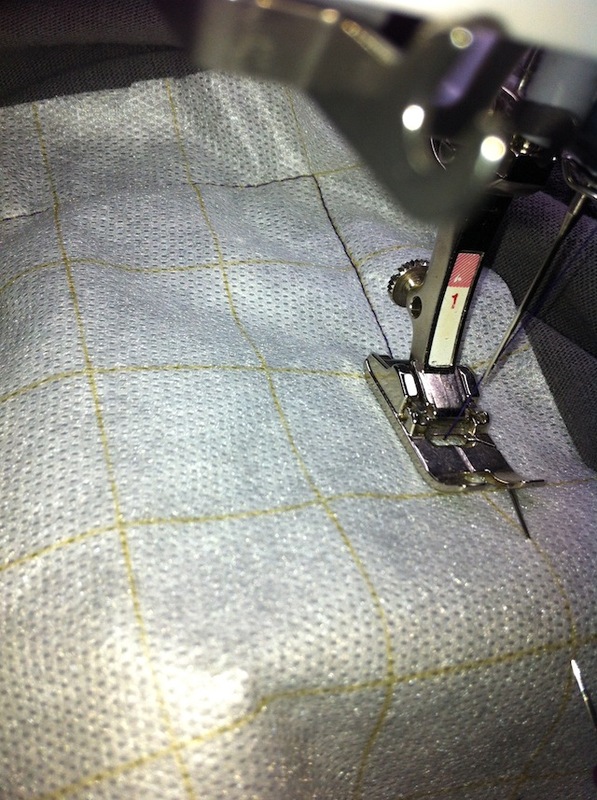 [Step 3] – If using sew-in, pin and quilt as desired. 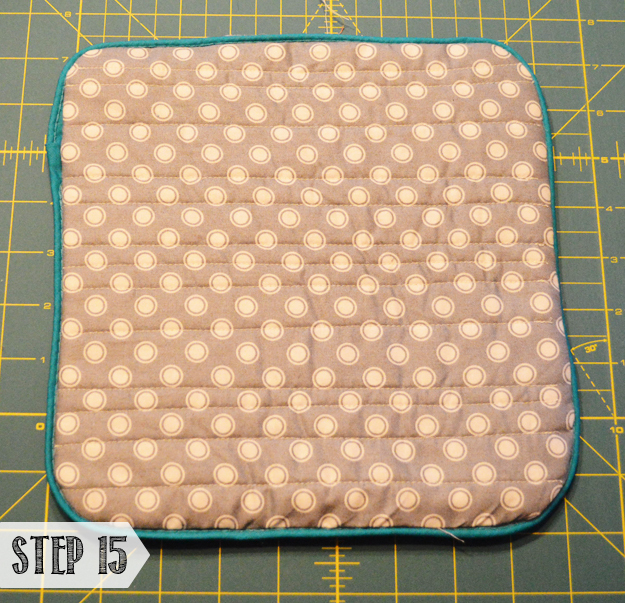 Step 4 – Repeat for second square. 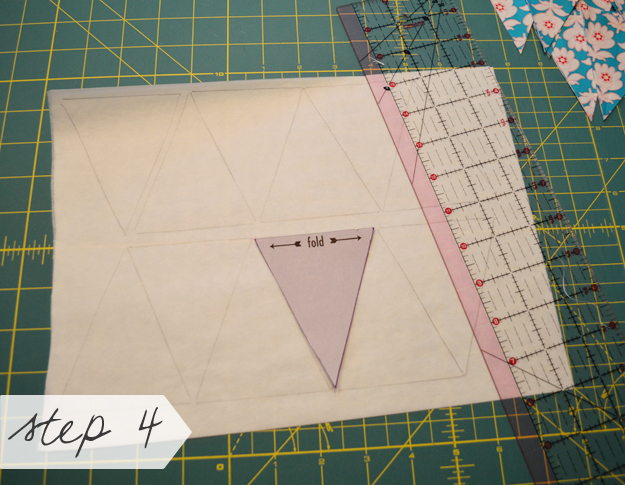 Step 5 – Cut length of piping to fit around all 4 sides of fabric square, making sure to leave about 1″ of overlap. On one end, open up the piping tape to reveal the interior rope. Snip the rope about 1″ in and fold in the piping tape edge by 1/4″. Step 6 – Place end of piping about 3/4 of the way across one side of the top of the right side of the fabric square. Cut a piece of EZ-Steam™ II Tape roughly 1″ shorter than the strip on both sides. Place the sticky side against the binding tape and finger press to secure. Step 8 – Clip the piping tape aroudn the corner so that piping will adopt a nice round corner. 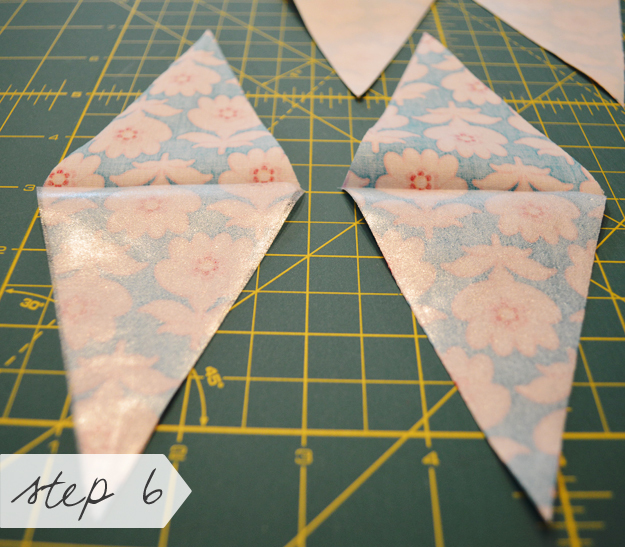 Step 10 – Repeat previous steps to complete the remaining two sides of the fabric square. To make bond created by EZ-Steam™ II Tape permanent, fuse following manufacturer’s instructions. Step 11 – To connect piping, measure second end of piping and snip so that interior rope ends meet, without a gap. Slip second end inside first end & pin in place. 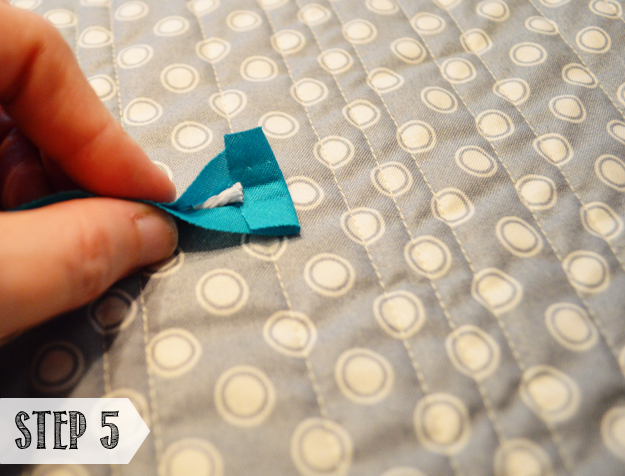 Step 12 – Place fabric squares right sides together and pin around all four sides. 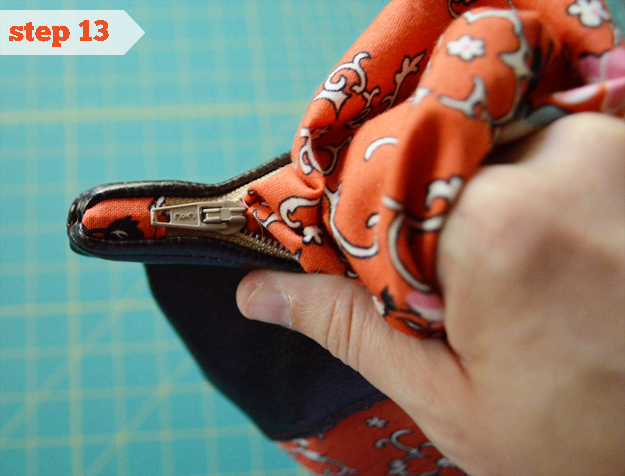 Step 13 – Using a zipper foot to keep stitches as close to piping as possible, sew around all 4 sides, leaving a 3″ gap for turning. 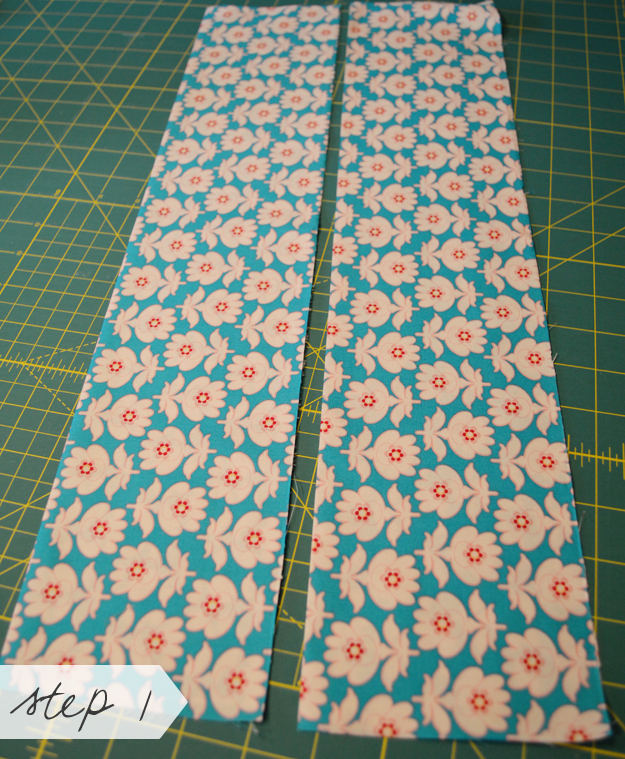 Step 14 – Trim seams and clip around curved corners. Step 15 – Turn right side our through gap and press. Step 16 – Stuff with Perfect Loft™ to desired level of fill. 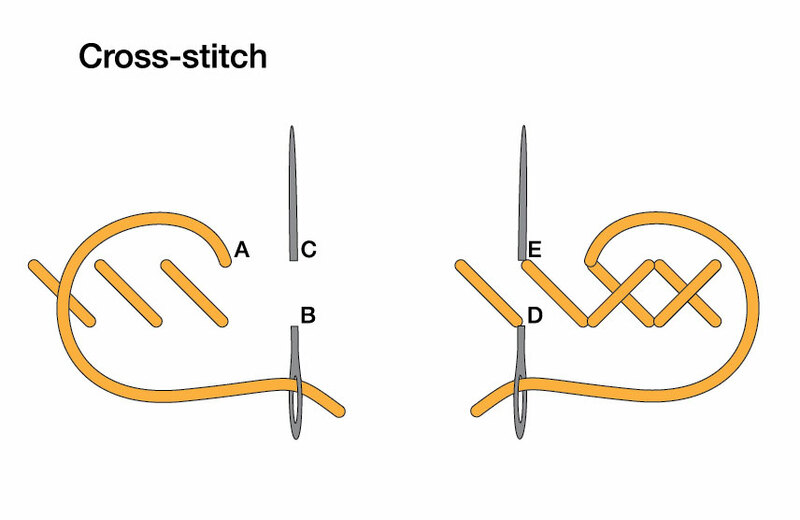 Step 17 – Hand stitch opening closed. We’d love to see what you make, so be sure to post a photo on our Facebook page OR share with our ‘Made with Pellon®‘ flickr group! Happy Sewing! Looking for more info on our brand new line of EZ-Steam™ products? Head here for a closer look. We’re having so much fun playing with EZ-Steam™. The possibilities are really endless!! 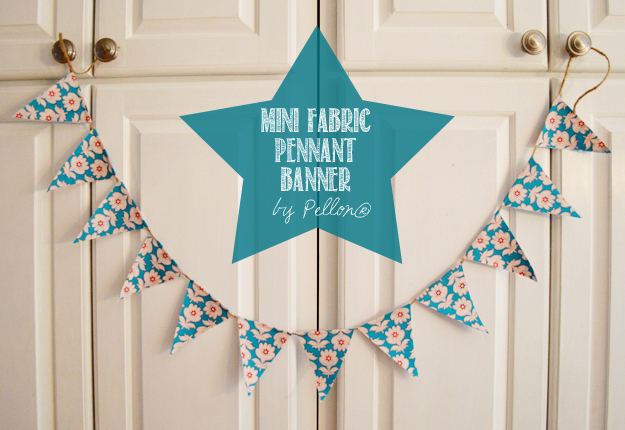 Today, we’re sharing a Mini Fabric Pennant Banner. 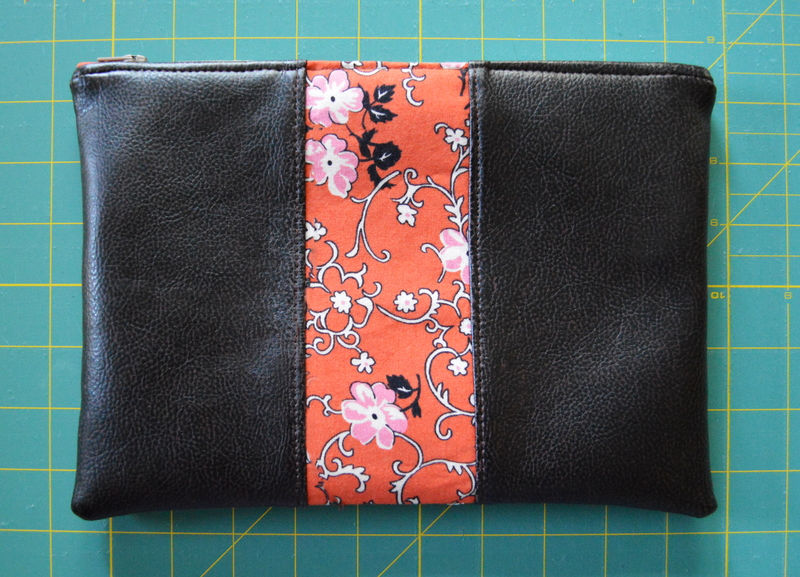 It’s a quick, no-sew project that can be done in about a 1/2 hour. It’s perfect for parties, holidays, and a little home décor flair;). Our sample uses Floresta in Cashmere from Floressence by Art Gallery Fabrics. 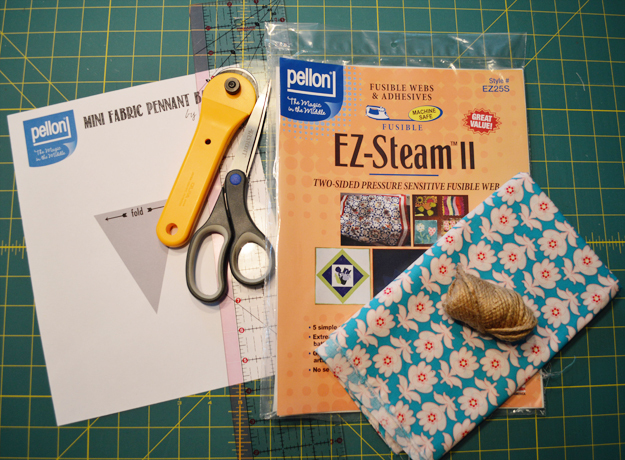 If you’re looking to track down some EZ-Steam™ of your own, head to your local Jo-Ann Fabric & Craft Store. 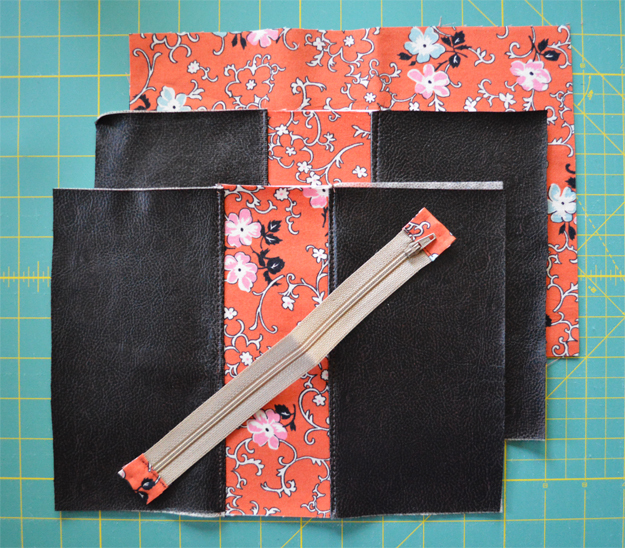 Step 1 – Cut Fat Quarter in half to create two 9″ x 21″ rectangles. Fold in half lengthwise and press. 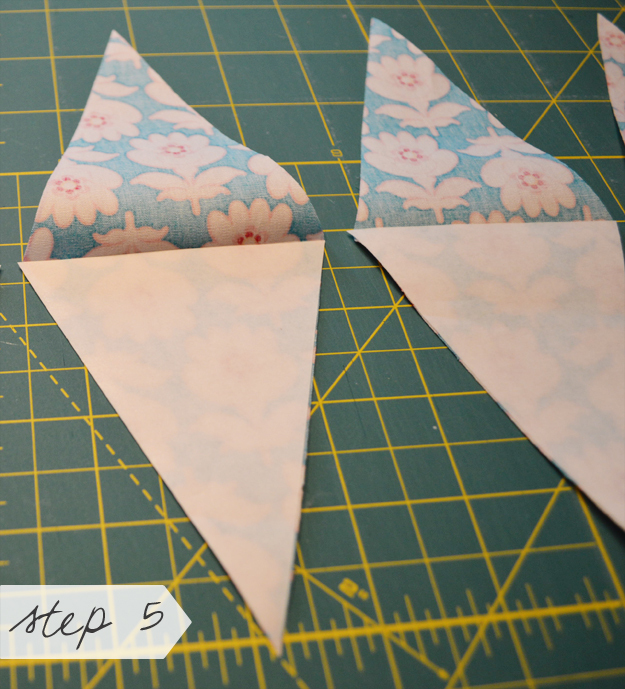 Step 2 – Print out pennant template and carefully cut out. 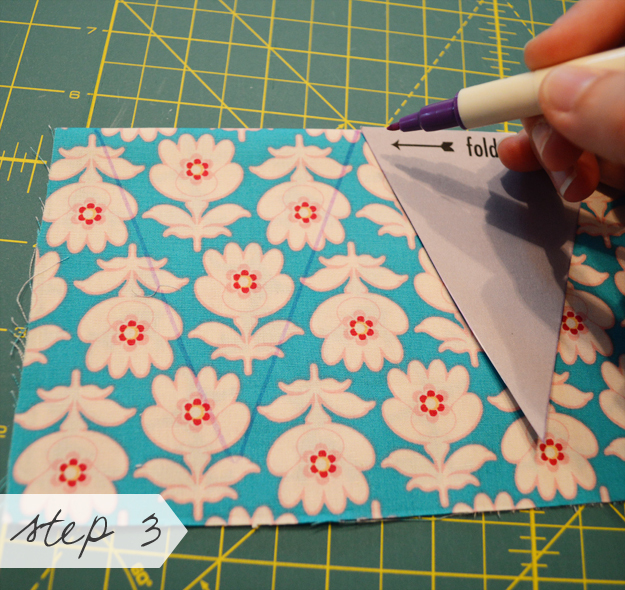 Step 3 – Place top of template against the fold in the fabric and trace around the edges with a disappearing marker. 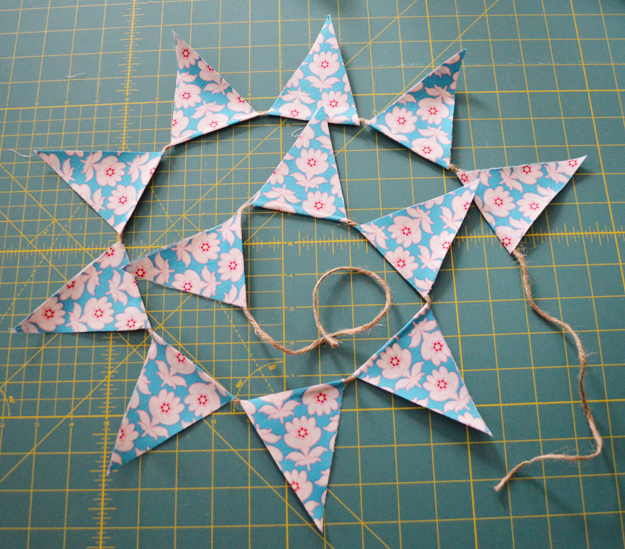 Trace 6 pennants per folded piece of fabric. 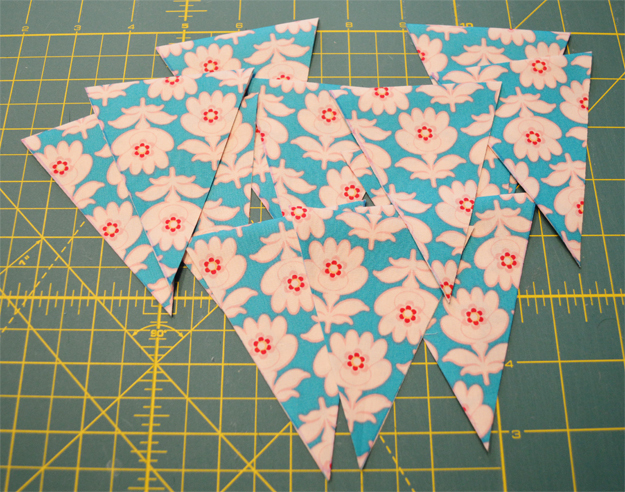 Carefully cut all 12 pennants out. 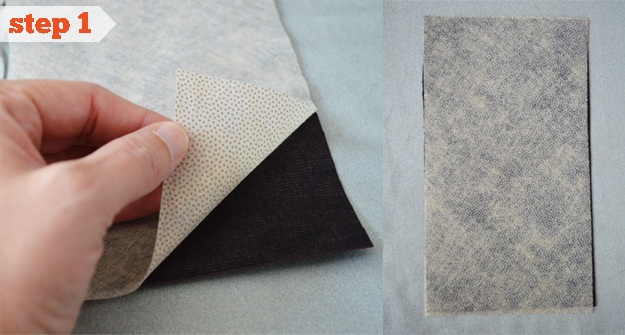 Step 5 – One by one, remove paper-backing and finger press sticky side onto the wrong side of the fabric, matching edges as shown. Step 6 – Line up all open triangles & remove second paper-backing. 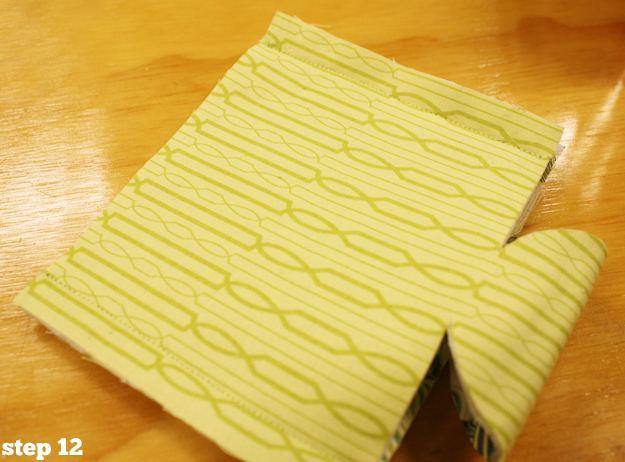 Step 7 – Align twine along the center folds as shown. 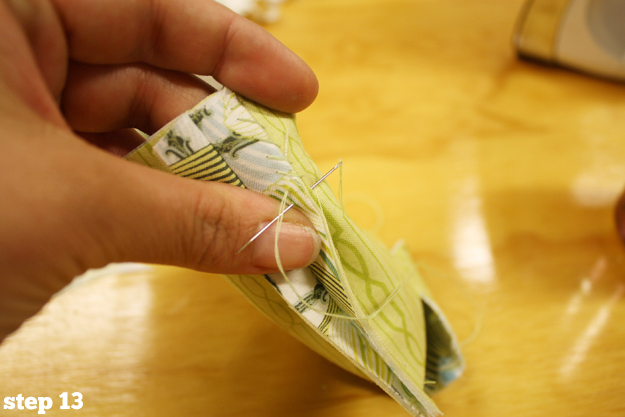 Step 8 – Fold top half of triangle down, so that twine is enclosed and finger press in place. 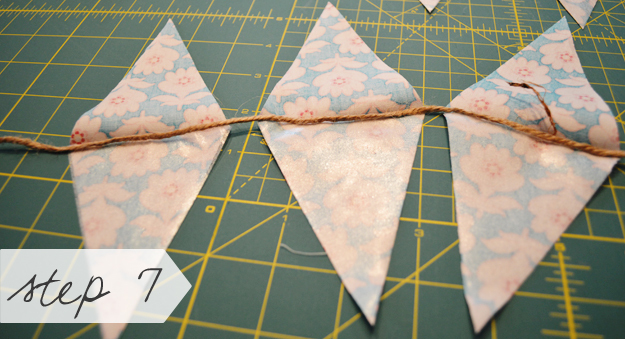 Step 9 – To create permanent bond, fuse all pennants following manufacturer’s instructions. And you’re done!! Hang wherever your heart desires;). Looking for something a little different? Try using pre-made or handmade binding tape in place of the twine! EZ-Steam™ II is completely sewing machine safe, so finishing the edges with a straight or zip-zag stitch is also an option. We’d love to see what you make, so be sure to post a photo on our Facebook page OR share with our ‘Made with Pellon®‘ flickr group! Happy Crafting! We’re loving the project in today’s guest post;). 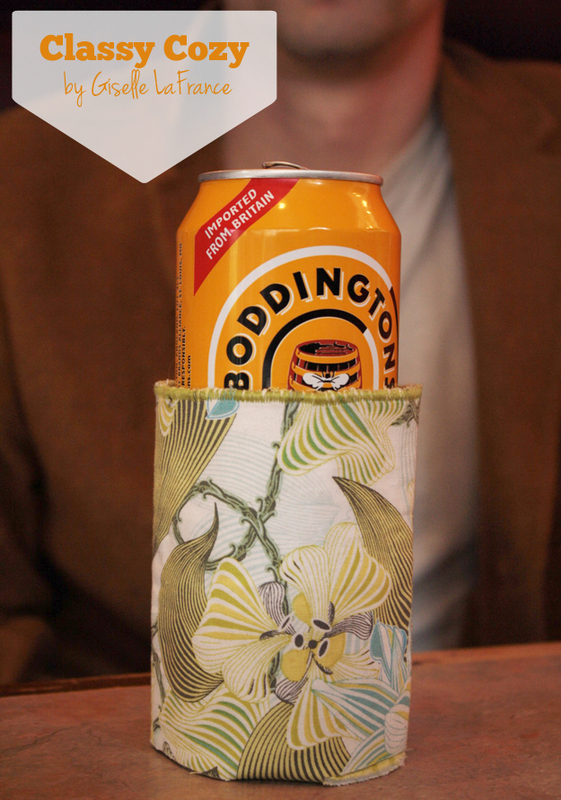 What dad doesn’t need a cozy to keep his Summer beverage cool? 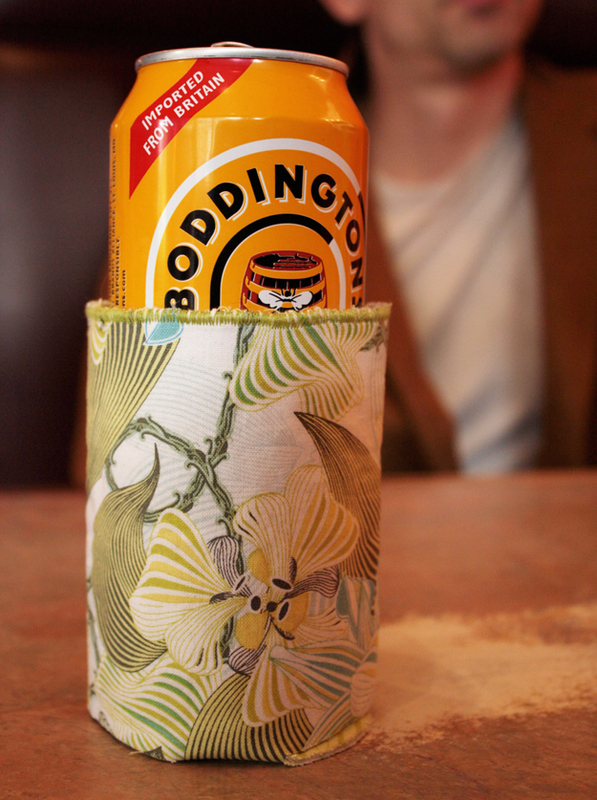 Project Designer Giselle LaFrance developed this handy Classy Cozy to keep your beer, seltzer, or soda safe and cool all Summer long. Use Dad’s favorite colors or try an applique of his favorite sports team. It’s a guaranteed win! Class up your bevvies! Summer is here and we gotta keep those cold drinks cold. This simple project could easily be done in under an hour, and is completely customizable! You can embellish the outsides with appliqué or embroidery, and finish the edges with a hand stitch, zig zag, or leave as is.A great take away gift for a summer gathering and perfect for Fathers Day! — Beverage of your choice! 1. Find the center of your piece of paper by folding in half horizontally. Open and fold again vertically. Open. 2. Place can in center of paper and trace around the bottom. Fold your paper in half so that you can see the circle on the outside. 3. Using your ruler draw a straight line across the top of the circle. 4. 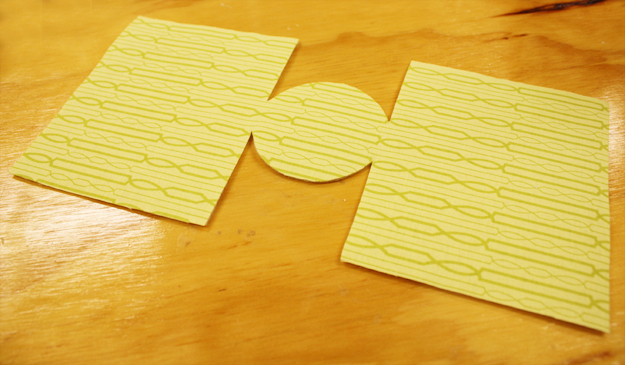 Draw a line 1-1/2″ in from the edge of the paper on both long sides. Open paper up and cut out template so that it matches the image shown. This is your cozy pattern! 5. 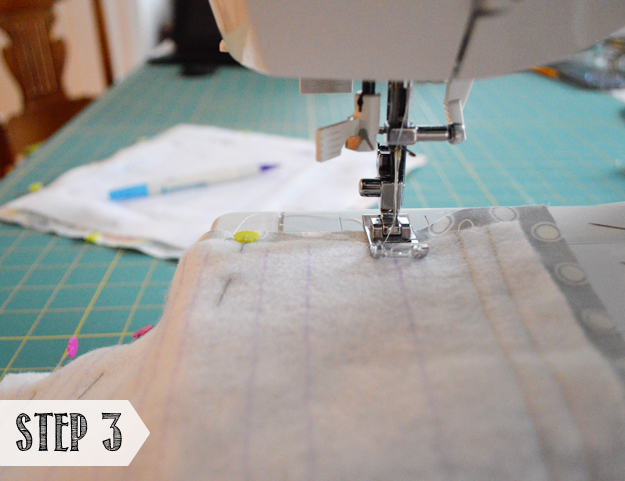 Using your pattern as a guide, cut out pieces of the Fusible Fleece and lining fabric. 6. Place the rough side of the Fusible Fleece against the wrong side of the lining fabric and fuse, following manufacturer’s instructions. Set aside. 7. Cut a rectangle of outer fabric & Wonder-Under® roughly the same size as your pattern. 8. Following manufacturer’s instructions, fuse outer fabric to Wonder-Under®. Let cool and then remove the paper-backing. 9. Place the Wonder-Under® side of the lining piece against the Fusible Fleece side of the outer piece matching borders and fuse, following manufacturer’s instructions. 10. 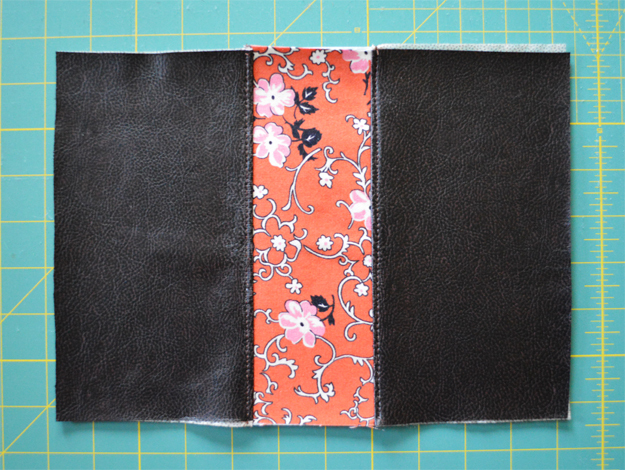 Cut outer borders to match those of the lining. 11. Get creative! Finish the edges with a blanket stitch, a zig-zag or leave as is. Embellish the outside with appliqué or embroidery. 12. Fold the cozy up with outside rectangles together (circle will appear folded in half at the bottom). 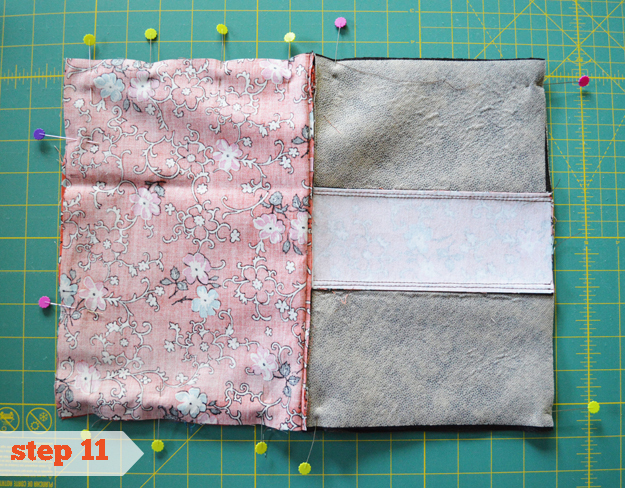 Sew down each side using a 1/2″ seam allowance. 13. Open up the sides and hand stitch down all four inner edges, making sure not to go through to the outside. 14. Put a beer in it! Or a cold beverage of your choice:). Thanks so much to Giselle for sharing this great project idea!! Today’s project comes in the way of a guest post from fab Pellon® Project Designer, Lindsay Conner. Lindsay oversees the magic at Lindsay Sews, co-founded popular blog Craft Buds, and also works with Craft Foxes. Need a quick, handmade gift idea for the man in your life this Father’s Day? 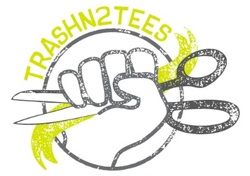 This freestyle reverse applique T-shirt is a unique way to upcycle a T-shirt! Using Pellon® 820 Quilter’s Grid™ as your base, you can sew accurate squares and rectangles in any pattern you’d like. 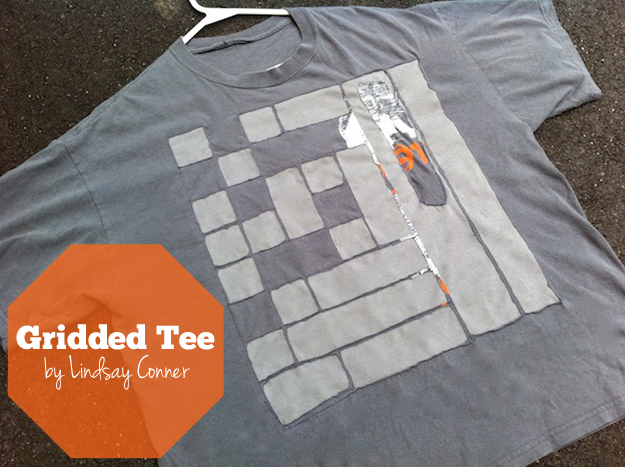 Try Tetris blocks or a Space Invaders look for a geek chic tee. 1. 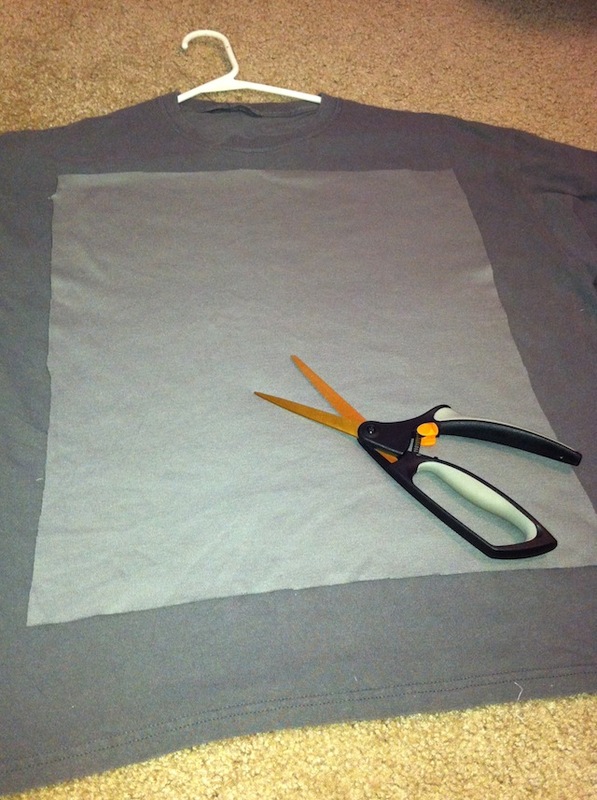 Cut a rectangle of jersey fabric that is about 2″ to 3″ smaller than your T-shirt front on all sides. 2. Cut a piece of Pellon® 820 Quilter’s Grid™ that is the same size as your jersey fabric. 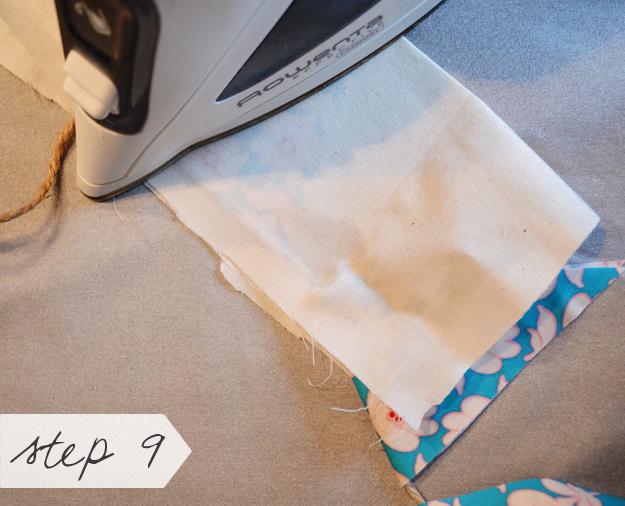 Fuse the interfacing to the wrong side of the jersey with an iron. 3. Turn your T-shirt wrong side out. Pin the jersey square to the T-shirt so the interfacing is facing you. Make sure you are pinning to the side you wish to reverse applique. Tip: You can spray baste or baste with safety pins if you’d like to prevent the jersey from shifting. 4. 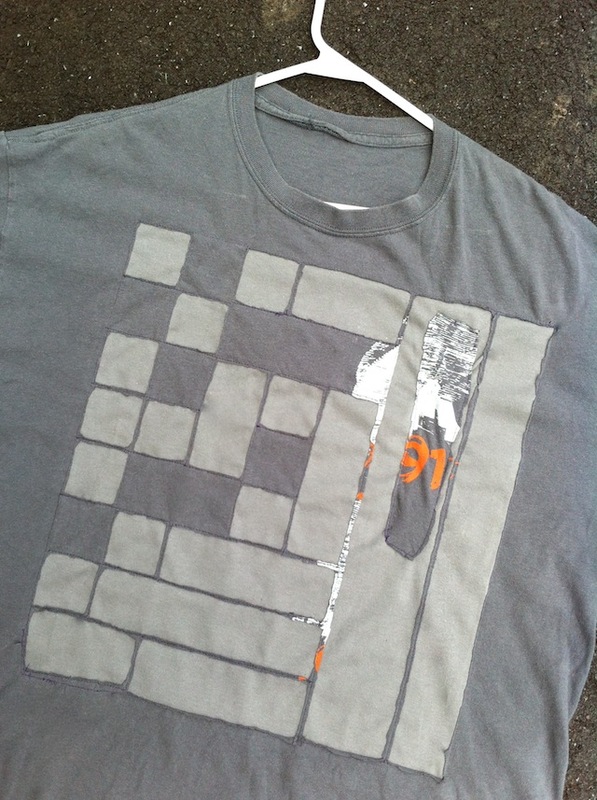 With the T-shirt still turned wrong side out, stitch over the grid design in any pattern you’d like. Trace around sections to create squares or rectangles, smoothing out the jersey fabric as you go so as not to introduce any wrinkles. 5. 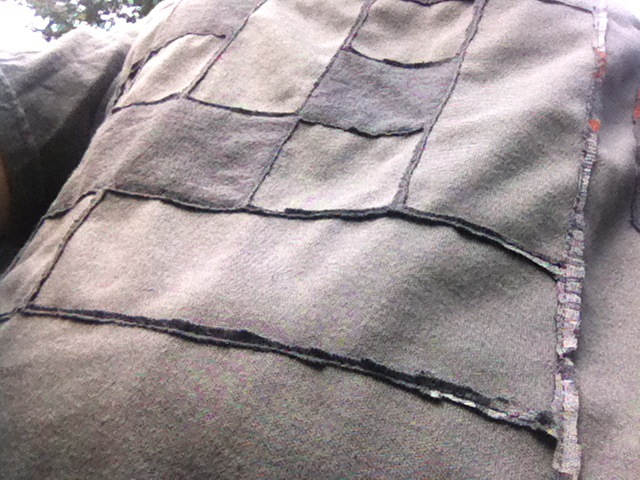 When you have stitched a section, turn the shirt right side out. Pinch the T-shirt fabric inside the rectangle, making sure not to grab the jersey fabric behind it. 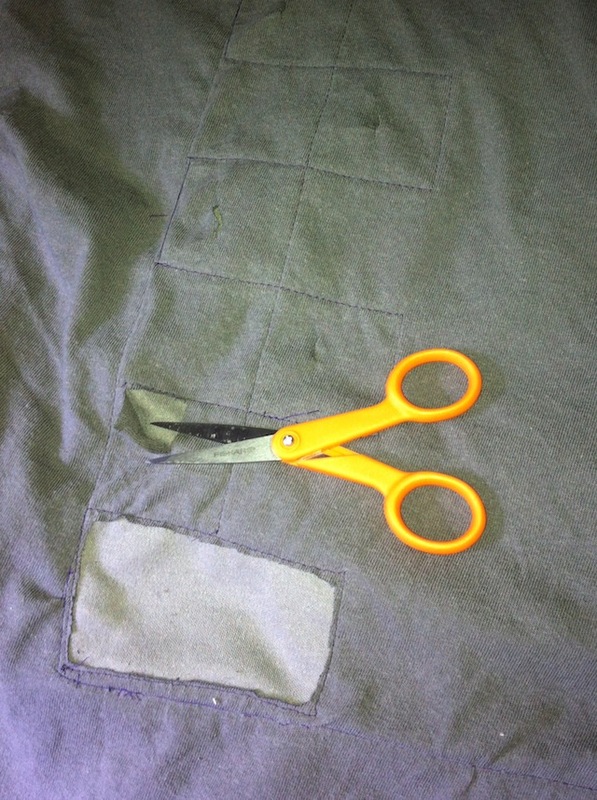 Snip a hole into the center of the top fabric only with your scissors. Widen the hole by cutting a line lengthwise down the section. 6. 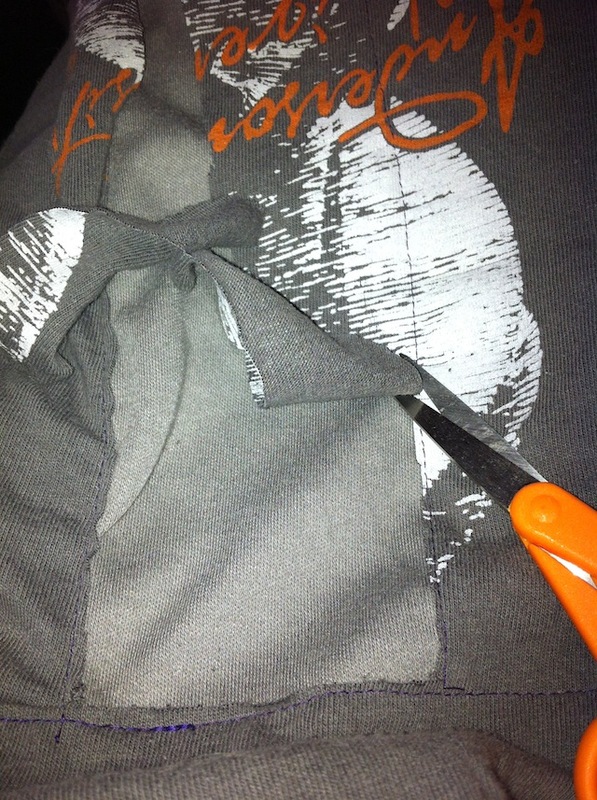 Cut away the T-shirt close to the edge of your stitch line, going all around the perimeter. 7. 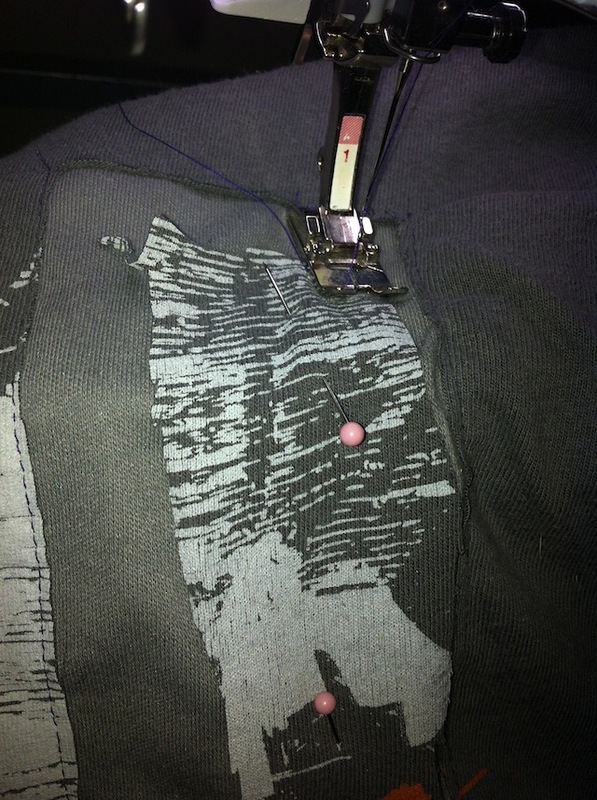 Continue stitching along the grid lines as desired, cutting out sections of the T-shirt to reveal the jersey beneath. 8. To add another design element, you can take some of your T-shirt scraps and raw-edge applique them to the front of your shirt. Upcycle a T-shirt for dad, your kids or yourself with this easy reverse applique technique! Thanks so much to Lindsay for sharing this great project idea!! Lindsay Conner loves to design quilts and handmade clothing and accessories. She lives in Indiana with her husband and two loveable cats, and her work has been published in Stitch (coming soon-winter 2012! ), One-Yard Wonders and several spots online. 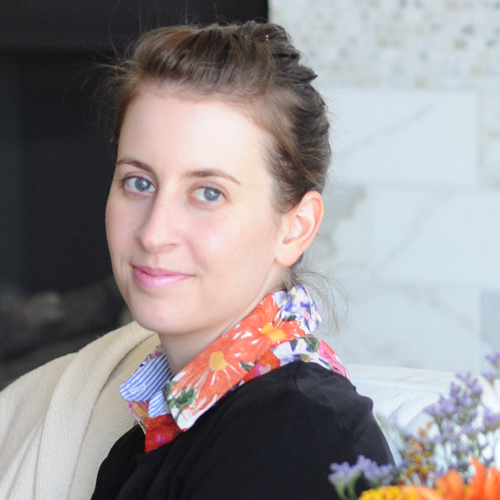 When she’s not sewing, Lindsay enjoys spending time with good friends, traveling and blogging. 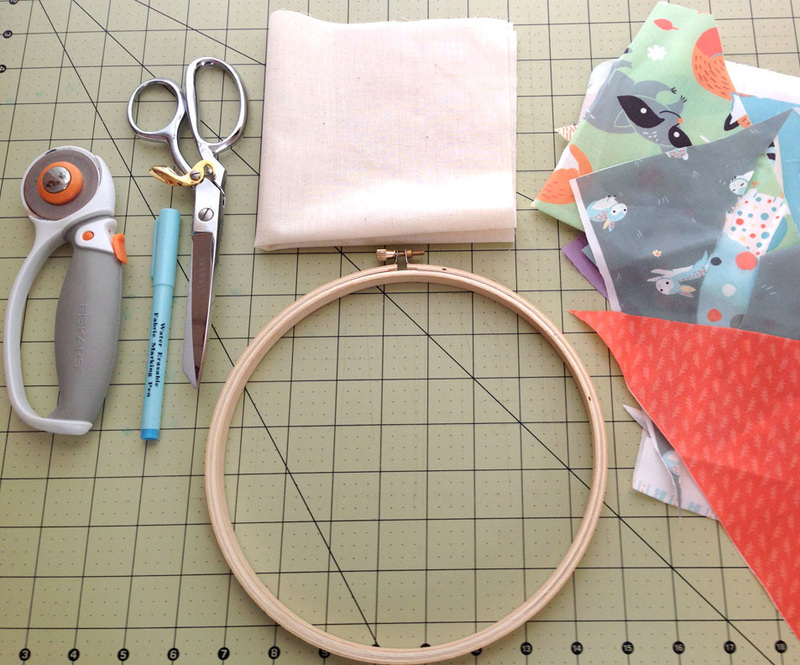 You can follow her craft ventures at Lindsay Sews and Craft Buds.